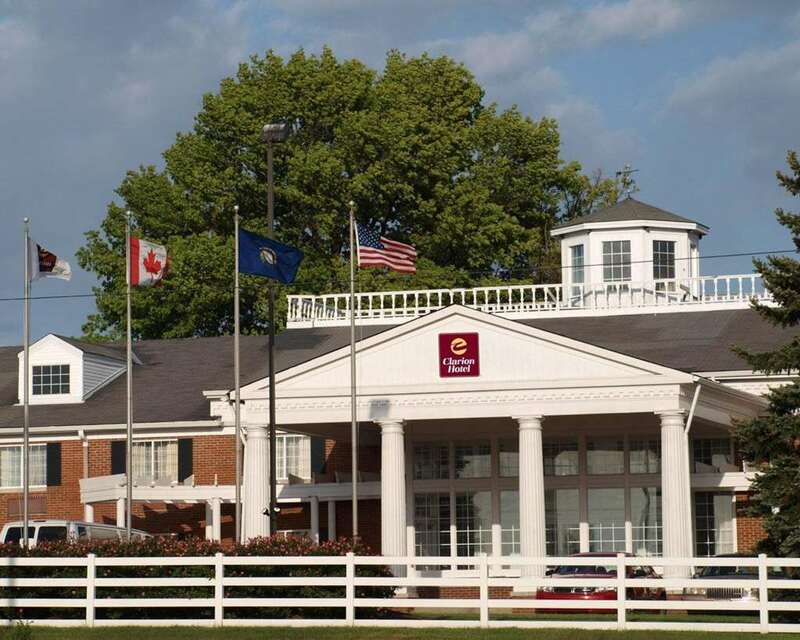 Get together for business or leisure at the Clarion Hotel in Lexington, KY. Our pet-friendly hotel is near Kentucky Horse Park and Rupp Arena with easy access to Blue Grass Airport. Enjoy our full-service amenities that include free hot breakfast, free WiFi, free airport shuttle, free weekday newspaper, a fitness center, indoor heated pool, restaurant and sports bar, game room, business center, guest laundry and valet cleaning services. Each relaxing guest room features a Flat-Screen TV, hair dryer, coffee maker, microwave, refrigerator, iron and ironing board. Select rooms include a sofa sleeper, desk and activity table. Also, earn rewards including free nights and gift cards with our Choice Privileges Rewards program.